We are always looking for ways to make your working life simpler and easier. 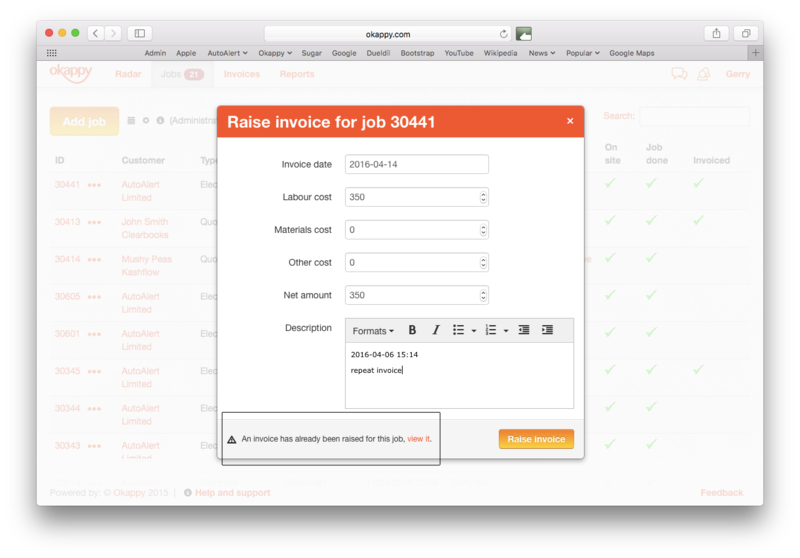 Below are three quick tips to help you raise and keep track of your invoices within Okappy. When raising an invoice from a job, look out for the alert message which pops up to notify you that the invoice has been raised as well as providing a link to view it. 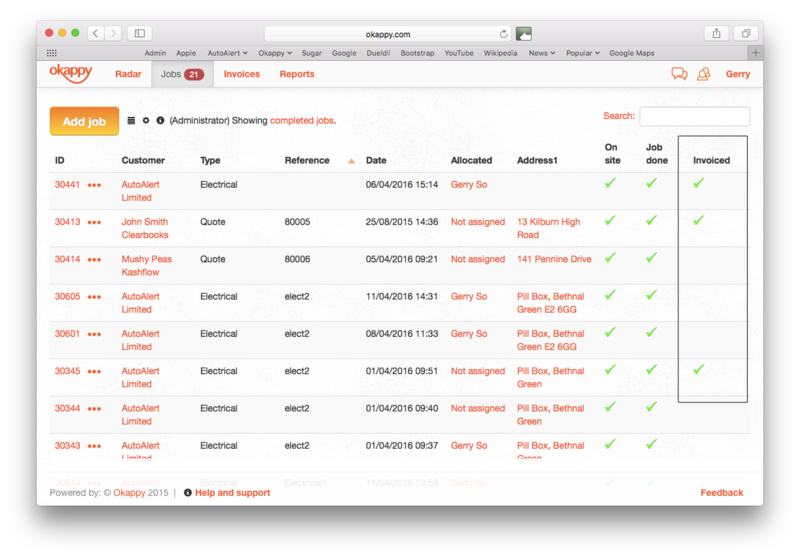 Enabling the Invoiced Column on your Jobs dashboard can quickly show you when an invoice has been raised for a job. If you have raised an invoice, a green tick ( ) will be shown. You can click on the tick to view the invoice. Please note that invoices raised before March 2016 will not be available from the green tick. However, you can still view all your historical invoices from the Invoices or Reports screens. If you have already raised an invoice for a job and then raise another one for the same job, a warning message will be displayed on the bottom left of the modal with a link to the original invoice. If you still want to raise another invoice, you can ignore the alert and carry on raising your invoice as normal. Check out our Help and Support section for more information about invoicing with Okappy, as well as other support articles covering managing your jobs, customer database, reporting and much more.